Coaching: Productivity systems, strategies and courage for work-life balance, confidence and cash flow! Coaching from Endless Echo on Vimeo. Coaching has been my passion for as long as I can remember. I love the entire process of engaging intention, deepening self-awareness and co-creating personal success. Why do I love working with professionals, entrepreneurs with ADHD and specifically moms? Because I know how hard it is to get started and stay sane as a mom entrepreneur. I've worked hard to automate processes in my business to save time. I love working with women and moms because I think they're some of the busiest, most essential humans on earth right now. Since launching my business in 2008, I've encountered difficulties, pain and hardship that taking on a business while raising your family brings. Many of us are in the 'Sandwich Generation' - working moms have become the peanut butter stuck between 2 slices of bread: our wonderful aging parents, and our growing, busy (yet exhausting at times) families. Add a spouse, a home, and a career into the mix and it's a wonder we're not all half-crazy! I want you to know that although it's not easy... it is doable. You deserve a life you love... that works. But, juggling all the priorities takes a solid foundation, clarity, courage, support, guidance and freedom from the judgement and shame that the muggle world offers. I can help you get it together, prioritize yourself, determine what direction to go in your business, create systems that make work easier, sell more, hone in your marketing, services, and pricing, and still have time at the end of the day for whatever you like to do most. While most coaches have some training, many pursue accreditations through programs designed to help them deepen coaching competencies. While there are many wonderful coaches, those who have pursued industry credentials will ascribe to a Code of Ethics established by the International Coaching Federation (ICF). These ethical standards have been developed over several decades of client-facing work. And they cover many of the aspects of a very complex, layered, nuanced relationship between coach and client. According to their site [ICF Credential-holders are part of a self-regulating group of elite coaches who provide accountability to clients and the coaching profession as a whole. They pursue and complete rigorous education and practice requirements that provide unquestioned legitimacy to their commitment to excellence in coaching.] Therefore, ICF-trained coaches and those trained in ICF-accredited programs will share ethics that protect you. You can see my program’s ICF credentials here. Coaching is one of the most effective ways to invest in yourself. The coach and client share responsibility for 'co-creating a relationship'. So when we work together, each session begins with a client-generated topic. This structure helps you stay focused and find incremental solutions each session. It's one of the ways coaching works and why coaching can generate immediate, powerful results. Many people think that coaching is therapy.... but it is not. Traditional therapy tends to look backward to your past for causality. Coaching meets you where you are today and helps you focus on where you want to go.Coaching helps you set goals and remove the obstacles that are in your way. Instead of ruminating on the past and digging to find out why you did what you did then, coaching moves from today forward. Coaching for professionals & entrepreneurs (with ADHD) struggling to get it all done and have a life! Why do I love working with professional women with ADHD and specifically moms? One of the hardest things to overcome as an entrepreneur is the feeling of isolation! There is extreme value in working collaboratively with a small business coach who specializes in supporting mom entrepreneurs. A coach provides a supportive, action-oriented, step-by-step, engaged (on fire) environment that allows you to make the (sometimes subtle and drastic) changes you need to start making real money, or move your business in a different direction. You are so busy dedicating your time and life to everyone else, that when it comes down to working on your business, you want to focus in, be productive and get things done... You also want to generate some decent income within the time you work. Let's face it, you are not going to pick up a side job at the local discount store. You want to own your time, life and flexibility. You need to hold the reigns and make the decisions so you can make your life work! And, to avoid costly marketing blunders that most new entrepreneurs make, it is essential to align yourself with a mentor who can share expertise, lessons learned, and show you the shortcuts to getting profitable SOON with the time you're willing to devote to your business. Let's face it - this entrepreneur thing is tough - it's NOT for wimps. If you are a mom entrepreneur who is painfully aware of a gap between where you are now and where you want to be, and where you are now, I invite you to close your eyes, take three deep breaths and feel a sense of calm.... just for a moment. You've got this - and I can help. If you are you tired of doing the same things over with lack-luster results AND if you are willing to engage in a trusted partner who will spend time strategizing, planning, systematizing, and holding the space for you to make your way forward, you are ready to work with me as a mentor coach. Many coaches distinguish their services by client type. Finding a niche is a way to distinguish ideal clients. A niche is a specialized segment of the market for a particular kind of product or service. My coaching programs are designed specifically to meet the needs of certain client niche's. This helps coaching work because clients receive targeted resources and learn from each other. There are 3 different niches that gain the best results from working with me. Busy entrepreneurs in the late start-up to early growth phase of business who need to systematize and get their time back. Professionals and business owners with ADD/ADHD wanting to increase their results and save time. Professionals in life transition or wishing to transition careers or launch a lifestyle business in the next 18 months. To learn more about private coaching, please click the highlighted links above. Perhaps you'd like to amp up your marketing focus, build (or rebuild) your website, clarify your pricing, enhance networking, connect with your niche and enhance all your marketing efforts. If you're ready for a more intense program, join a collaborative, supportive bi-monthly mastermind to keep you on track. Bi-monthly webinars and online training modules help you tighten in and build your brand. 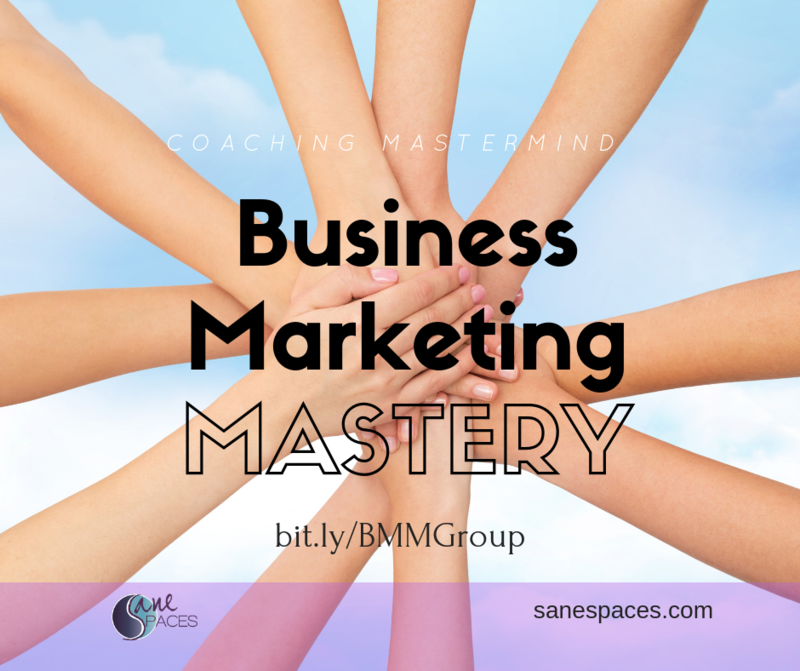 Explore the Biz Marketing Mastery Group. Let's set up a Discovery Session so we can talk about your situation and see if I can help. If you are interested in coaching with me and would like to know more, check out Meet Cena and read the page "FAQ - Interview With Cena" for the back-story of who I am and how I got here. If you're new to coaching, click here to review the results our clients have achieved while working with us! 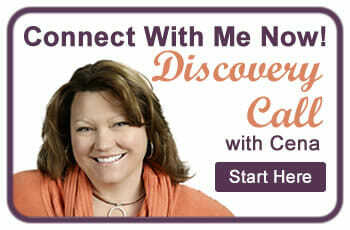 Click the button to schedule a complimentary private Discovery Call with me. Let's discuss where you are right now in your business and see if one of our coaching programs is a good fit and a next step for you to consider.